“Chop rituxan? Sounds violent.” I thought to myself. “And I’ve heard of Port-A-Potties, but a port-a-calf? Protocol? Isn’t that your best manners when in the presence of royalty?” Clearly, I needed to pay closer attention. I longed for a pen and a pad of paper. I glanced over at Pedro to see if he was getting any of this, but his pain-glazed eyes didn’t seem to register much, either. “Um, excuse me, but could you repeat that part about the protocol?” I asked sheepishly. The doctor blinked and smiled. “Ok.” I hoped my nod looked intelligent. I planned on searching the Internet the minute we got home to figure out what a monoclonal antibody could possibly do for a cancer patient. 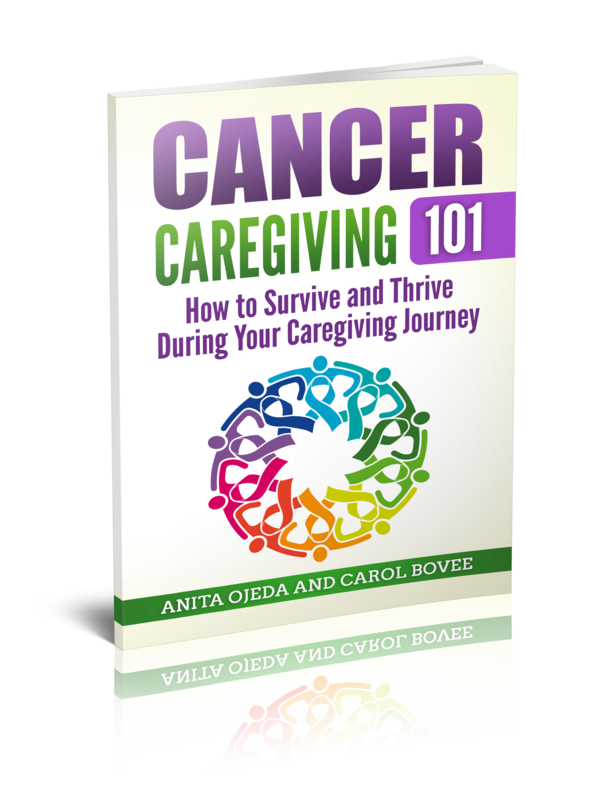 During the next eight months, I discovered that my role as primary caregiver included being the official caregiver bookie for Pedro and his illness. He was admitted to five different hospitals and had procedures at all of them. I not only needed to take notes at doctor’s appointments, I needed to keep track of a host of information. If you have the information you need at your fingertips, you’ll be able to fill out forms for hospital admissions quickly and efficiently and the sooner you’ll be able to give your attention to the one you care about. 1. Discuss with your loved one who will keep track of information. In our case, Pedro’s pain level prevented him from wanted to keep track of anything, and we decided that it would be best for me to keep track of everything. Keep checking with the patient (if your loved one is an adult) to see if they want you to take over or continue in your role. 2. If you share the care, decide how to share the information. One mother-father caregiver team I know had a huge notebook provided by the hospital where they kept track of all of the pertinent information. The notebook was kept with their child at all times, and they shared the responsibility for updating the information. Agree to be equally diligent in keeping the information up-to-date. 3. Information that you should keep with you at all times: Even the most rudimentary cell phones now days have a memo or note feature—use it to take notes and store photos of medications, insurance cards or anything else that is vital to your loved one’s situation. a. Medical insurance cards (or photos of them on your cell phone). b. Admission dates to all hospitals, along with hospital contact information. d. A list of all medications your loved one is taking, along with the doses and frequency and the prescribing doctor. e. The names and contact information for any doctors or specialists that your loved one sees. f. Information about pharmacies that you use. g. Emergency contact information and a clear list of WHAT constitutes an emergency. 4. There’s an app for that! Ten years ago, phones had no brains, and ‘apps’ didn’t exist. Nowadays, there are free and inexpensive apps that will enable you to keep important information at your fingertips. a. Two noteworthy free apps: My Medical Info and Family Health Record Keeper. Neither one achieves perfection (allows you to keep all of the information PLUS allows you to take notes and write your own questions to ask), but they both stand out as being comprehension and functional with the iOS system. What have you discovered that helps you organize the important information for your loved one?